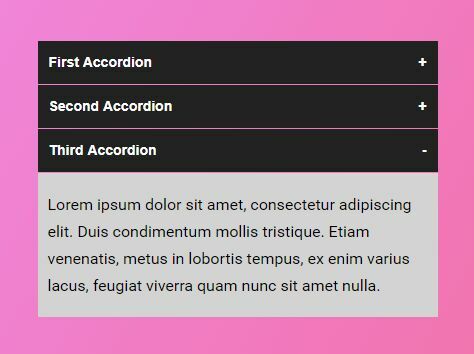 Toggle is a jQuery plugin for creating a simple accordion interface where the toggle state is saved in the cookies using the js-cookie library. This means the plugin remembers the last toggle state of the accordion and automatically expand/collapse the accordion panels on next visit. 2. The required HTML structure for the accordion interface. 3. Include the jQuery Toggle.js script at the bottom of the page. 4. Done. Style the accordion whatever you like. This awesome jQuery plugin is developed by carry0987. For more Advanced Usages, please check the demo page or visit the official website.